What if you are just not getting things done? What if you just can NOT get things done? Before you start beating yourself up, ask yourself: is this just a season of my life? Today we're going to talk about how to identify the season you're in, and what to do about, to be both as productive and GENTLE as possible. My aim is to guide you to living an enthusiasm-filled life…which includes doing work you love, spending time with people you love, and feeling GOOD while doing it. 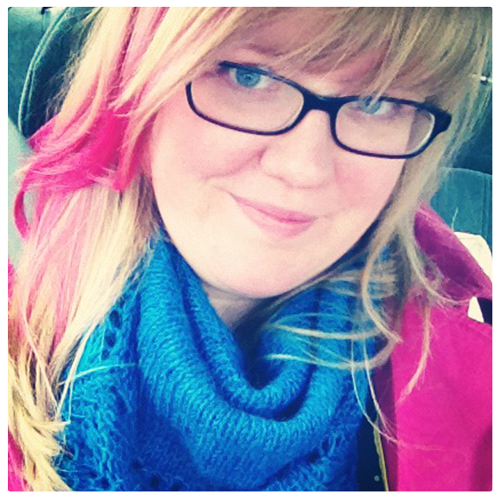 I was recently asked the question on Instagram: I feel like I'm in a season of my life when I can't get a lot done. Am I alone? Can you talk about this? First, let me preface today's episode with some background: two months ago I didn't have any kids. We became foster parents last September and on December 17th a two year old girl came to live with us, for an undetermined amount of time. And let me tell you – one of the first thoughts I had about my business, when my head came above water, several weeks later was: I can't believe I ever talked about how to get stuff done. I had NO IDEA what it was like to have a 2 year old at home. It is insane. Especially when you have no warning and you're a stranger to the 2 year old, and they've gone through some recent trauma. But even if you’ve been with them from day one, it’s bonkers. So here's the truth: I have no idea what you're going through. Maybe you have 4 kids. Maybe you have a sick partner. Maybe you just lost a parent or loved one. Every situation is different, and my situation and way of dealing with things is built from what I need, from what works for me (and sometimes it doesn't even work for me!). So you'll have to take what applies, leave what doesn’t, and find what will work for you. Rest – sometimes you’ll go right from creating to new inspiration and new creation but a lot of time your field will just need to lie fallow. You may just need to rest before you get another breath of inspiration. This is the time that you may worry that you’ll never have another idea and that everything is falling apart. But it’s just part of the process. Fill up your well and keep yourself healthy during this phase. So those are the seasons in your business, but there are also seasons in your LIFE. Seasons where you’re actually not going to be in any season of creation or inspiration because you’re putting your attention on other projects in your life. It may be parenting, or a relationship, or getting well. That’s ok. That’s part of being a human! If you are in a season of not getting stuff in your business done, you are NOT alone. I didn't work for 4 solid weeks. And now that I am back to “work”, my working hours are a fraction of what they were. Not only that but now the part of my brain that was free to think about strategy and business plans is now thinking about temper tantrum strategies and did she have any green vegetables today and is that a rash? But this is only a season of my life. Yes, she'll only be 2 years old for a short season. And because we're doing foster care, she may only be with us for a short season. But above that, the overwhelming NEWNESS of everything is ALSO a short season. We won't be in this everything-is-new-and-requires-decision-making season forever. Even after just a month of being together, so much has become easier. We have routines, we have go-to meals, we have regular activities to do together. I'm not saying parenting every becomes EASY or that I'll ever get back the huge percentage of my brain I used to think about my business, but the season of it being THIS INTENSE is fleeting. Now that I’m more mentally healthy and I’m moving out of the intense brand-new-kid season, I’m in a season of transition, where I’m trying to find my new rhythm, my new normal. As much as I would love to just hop back to work-mode when I can work, I’m finding that I need to learn how to transition from mom-mode to work-mode. So this is a season of figuring-it-out. I’m not quite to creation, as I just transition into figuring out how to work. And I know many of you are in an especially hard season. Maybe it's depression. Maybe you're taking care of a sick family member or partner. Maybe you've recently experienced loss. These are all seasons where your work is just NOT a priority. And hey, that's ok! We are trying to build businesses that ENHANCE our lives, that bring enthusiasm and joy and connection to our lives, so those same businesses (and our plans for our business) need to allow for that life to show up and take over sometimes. Are you in a difficult season right now? Are your frustrated because you can’t do what you WANT to do? Keep track of your ideas. Recognize the season and give yourself grace. Realize when you’re in the NEXT season, and allow the change to happen. I hope this has helped you navigate whatever season you’re in! Being kind to yourself and remembering that there are seasons to life and business is so important! Have you found that whenever you're really busy and you do NOT have the time to work on something, you get a MILLION ideas for it?! I know! Me too! 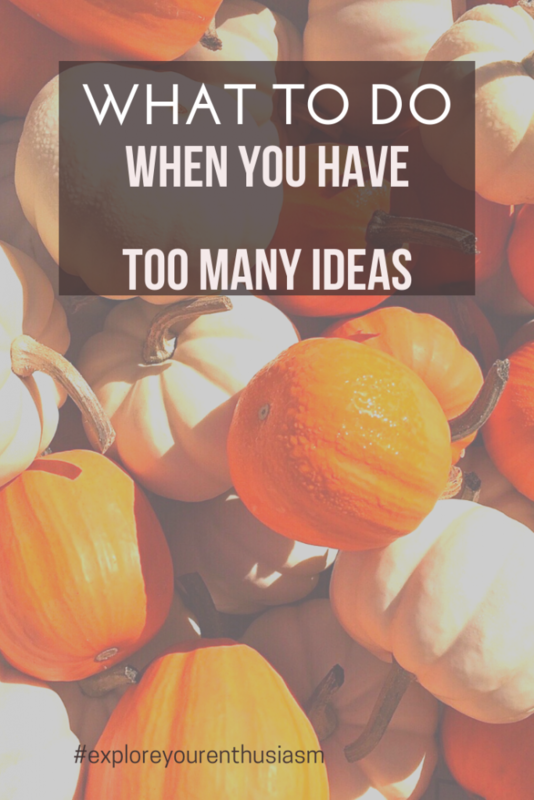 So what do you do when you have too many ideas? How can keep from losing them? How can you keep creativity flowing? How can you be sure to choose the right one? When I asked the Starship what topics they most wanted me to cover on the podcast, this came up over and over: What do I do when I have too many ideas? First, know that you are not alone if you both have times of NO IDEAS AT ALL and ALL THE IDEAS, OMG! That's just a natural part of the cycle. Creativity and business is cyclical, you'll have times of planting, times of harvest, times of a totally fallow field (I grew up surrounded by cornfields in rural Ohio!). The important thing, the vital thing to keeping your creativity healthy and alive is to RESPECT the season you're in, don't try to push it. So when you have no ideas, just rest and get to work on the things you've already planned. When you have ALL the ideas, don't try to squash them down or ignore them. Now, you can't always work on the ideas you have as soon as you have them! And some projects take a long time so even if you start right away, it's going to be a while before it's finished. So what do you do with all those ideas? You don't want to squash them, but you can't work on them? The super simple, obvious answer is to WRITE THEM DOWN. Ideally you're going to write them down in the same place every time, so you can find the list when you're out of ideas! Put them where you'll find them again! Look at what else you have coming up, and see if an idea fits in to your plan? Does it have a deadline (like a Black Friday Deal idea)? Does it need you to work on it by a certain time to make it happen? Prioritize what you'll work on, based on what your current goal is, what makes sense for your business, and what you're enthusiastic about. Keep going back to the same list and adding to it, all the time. Review the list regularly! Ideally you'll do this when you're planning and thinking about your goal for the quarter and at the very least every 6 months. Maybe some of the ideas fit with your new goal, or maybe your goal is to implement an idea you still love. Don't be precious about your ideas, you will have a million more. Cross out ideas you're not still excited about! That's pretty straight forward right? That's what I thought, so I was confused by the panic that this question seems to elicit in people and I wondered: Why does it upset people to have lots of ideas? You worry about picking the RIGHT idea. You worry that if you have to pick between your ideas, you won't work on the right one. I can understand that, but I have a secret for you that is going to totally change your life. Are you ready for it? There is no right idea. There is no right answer. I'm serious! If you have an idea for an Instagram Challenge you want to hold and you have an idea for a Black Friday Sale, you know what? Both ideas will go great. Both ideas are likely to grow your business! There isn't a RIGHT choice between the two – pick the one that either makes more sense for your current goal, your current ability and/or your current enthusiasm level. That's it! One way to look at this is that there is no “right” answer, because no one knows the answer! You have to try it and see! The other way to look at this is that EVERY answer is the right answer! Taking action, at all, in your business is better than NOT taking action. EVERYthing you do, if you pay attention and learn from both the successes and failures, is going to be progress. Within those areas, you're going to have a goal or a focus – pick the idea that aligns with that current goal. And above all, trust yourself! You are going to have more ideas! You are going to implement the really great ideas. You are going to move forward. Don't let too many ideas keep you from taking action. Take action, and you'll get more ideas. Are you ready to dive back into your business after a summer break? Did you take time off for the summer? Or did you just feel less productive because of the nice weather, the travel, the kids home from school? Whether you took a proper break or not, a lot of you asked me: How do I get back to work? Take a fresh look at your goals. 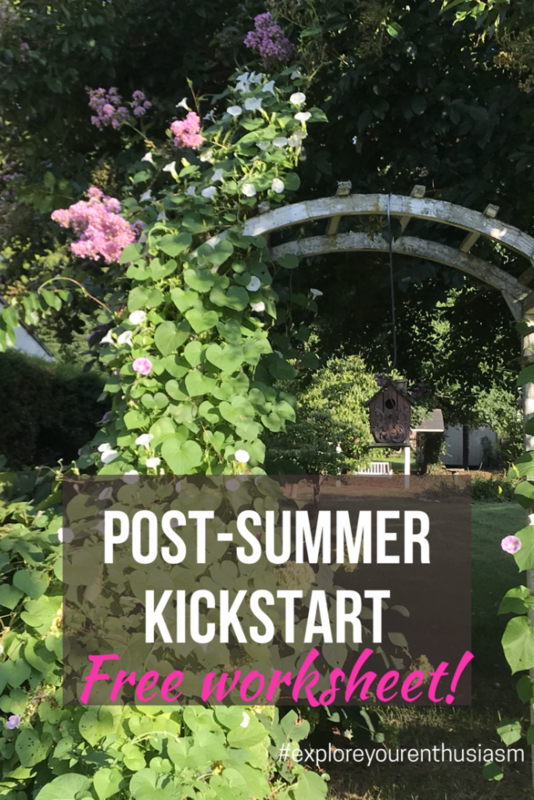 It's possible your life shifted over the summer – maybe your kids entered school or maybe you entered a new relationship or maybe your had a great moment in your business (like a big show or wholesale account?) that's shifted how you think about your business. It's normal for what you wanted then to not be what you want NOW. 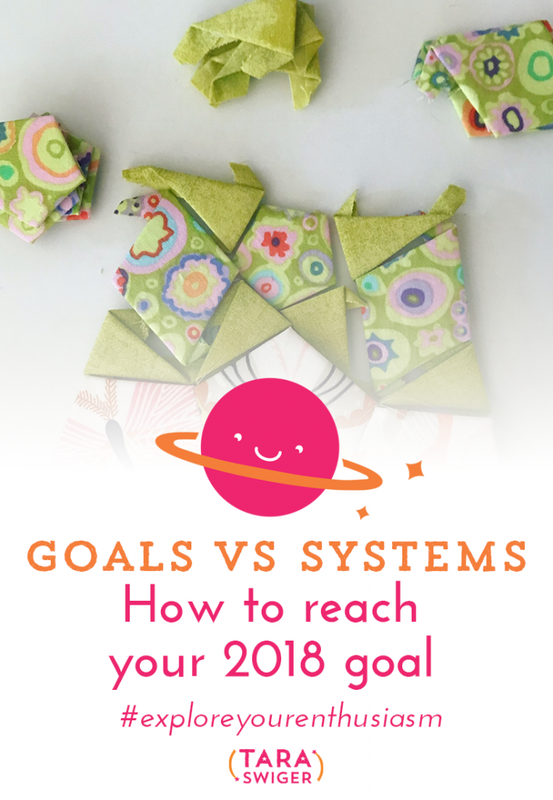 So pull out your most recent goals (you do write them down each quarter in Map Your Business, right?) and ask yourself: Do I still want this? How do I want to go about moving towards it? Take a fresh look at your days. What worked before might not work now. When do you have time to work? When do you want to work? When are you most focused? When is the best time to do each task? Would you rather batch types of work on certain days? Or in certain hours? Take a fresh look at your expectations. How much do you expect to get done in a day? In a week? How are you feeling about your productivity? Do you need to lower your expectations? Do you need to shift your productivity towards a more impactful work? It takes a while to get back in the flow of things. If you are working more now than you have been, you may need to ramp up slowly. Coming back after a break NEVER goes how you plan, so get comfortable with that. What do you need to be gentle with yourself about? Transitioning into fall now, and this was so important to hear! This week I'm going to talk about something I haven't figured out yet. I'm still working on it, and I know we ALL go through it. How do you get stuff done when you really don't feel it and when you know your best work comes from your enthusiasm? Loving this episode all about how to get things done even when you don't feel like it. Welcome to your busiest, and potentially your most profitable time of year! And…also potentially the LEAST sane time of year. 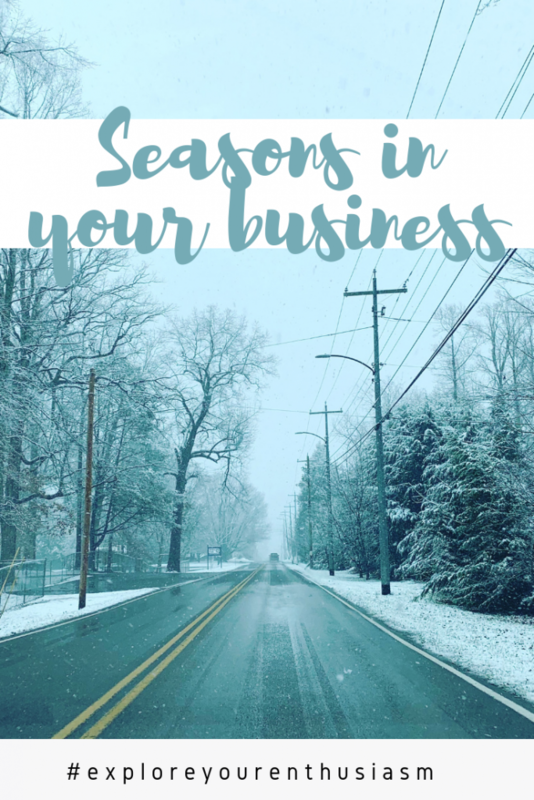 If you are dreading the holiday season and busyness and scramble, I wanna help you get you ready to have a killer season and fantastic good time. As we leap into Thanksgiving, Hanukkah, and Christmas, I hope this collection saves a bit of your own sanity. I gather all my favorite sanity-saving posts on this Pinterest board (new articles are added all the time!). Don’t forget to sign up below to get access to Holiday Sanity Guide in the Black Friday Bundle! 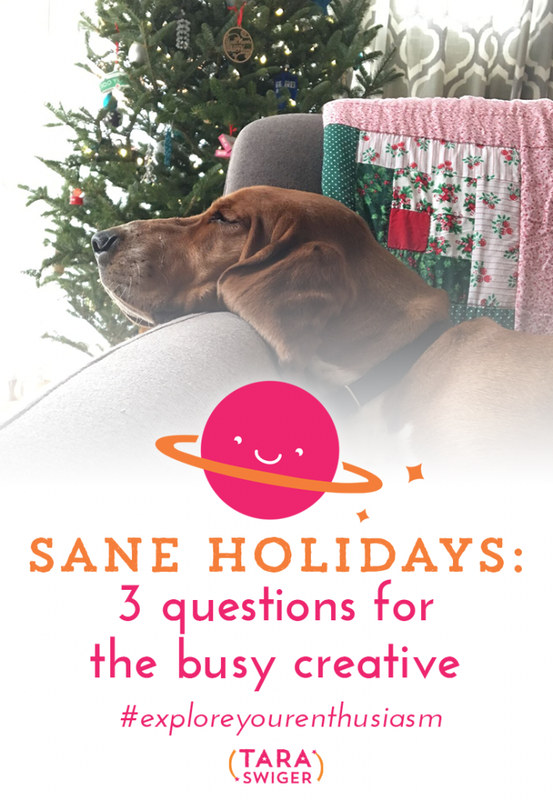 Loving this ep on how to have a sane holiday season! Can't wait to have a fantastic time this year! Now, I’m just back from time offline, and I’m following it up with family visits and the holidays, and it’s hard to get back to work, you know? I’ve found it’s very easy to slip back into just doing the daily grind, doing exactly what I was doing before… but motivation is a bit harder to replace. So how do you get back to work after taking time off? The Starship is now open! How do you actually DO what you want to do in your business? Do you need to understand WHY you're doing it? Do you need to be held accountable? Or do you rebel against anyone telling you to do anything (even when you really want to do it)? This question fascinates me, because it's at the heart of why some people build their business quickly and others struggle along without ever taking much action. This has been such a popular topic that I thought we'd revisit it this week for the podcast. 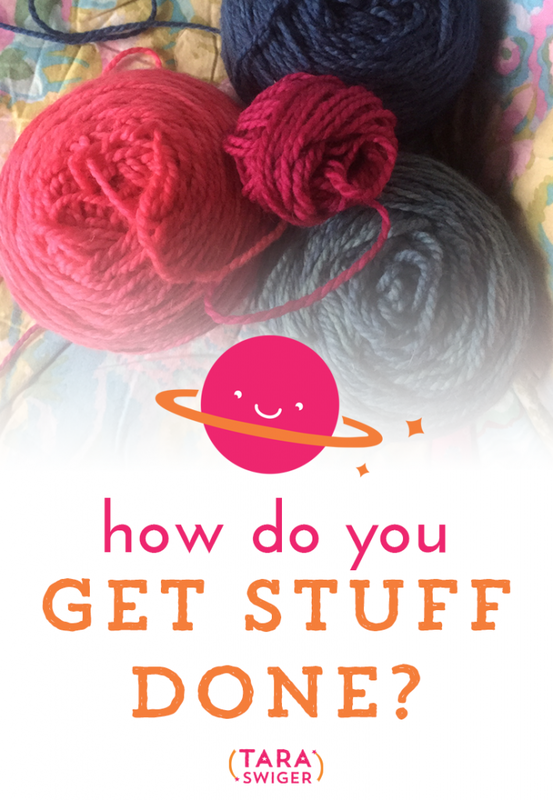 Make sure you read to the bottom in order to get your FREE guide to getting stuff done for Questioners, Obligers, & Rebels! When I talk to makers and artists who are frustrated that their business hasn't grown, it's very rare that they have NO idea what they should do. Instead, it's that they aren't taking the actions they feel they need to take, they aren't doing what they want to do. 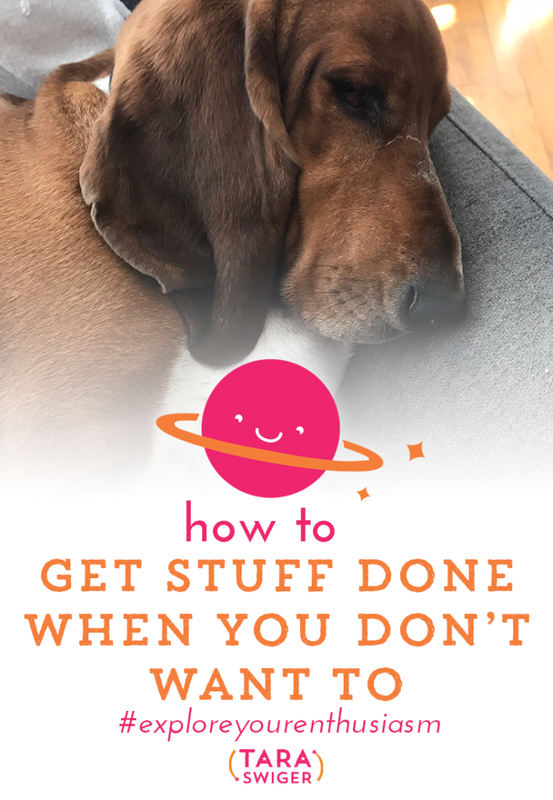 The best explanation I've ever found for WHY some people struggle to get stuff done, is in Gretchen Rubin's book Better Than Before (it's all about habit change, and working on your business really is about habits). She defines the Four Tendencies, as a reason for why some people get stuff done (or change their habits, or work on their biz) and others don't. I've talked about this before on the podcast (listen in here), but this comes up so often, I wanted to revisit it. According to Gretchen (and backed up by my own experience working with hundreds of makers and artists), we react to expectations (ie, people telling us to do something), in one of four ways. The way you react to expectations tends to be consistent across your life. These people do everything that's expected of them, easily. They both meet external expectations (other people telling you what you should do) and internal expectations (things YOU want to do). I have met very few Upholders, and I think it's because they don't seek out biz support – once they know what to do, they just do it. These people (uh, myself included) don't care to meet external expectations unless they understand WHY. But they have an easy time meeting internal expectations… if those expectations are built on understanding the rationale behind them. In other words, we questioners can do anything if we can turn it from external expectation (you telling me to do something) into an internal expectation (I understand why, and now WANT to do it, because it makes logical sense to me). These people (maybe you?) have a pretty easy time fulfilling external expectations (if someone asks you to do something, you will), but have a tough time fulfilling internal expectations (say, working on your business, just because you want to). In fact you may fill your days doing things others care about more. So you feel frustrated that you never seem to make the time to work on what matters to YOU. Ugh, this is frustrating. Get someone to ask you about what you really care about. In other words, externalize those internal expectations. You can do this with a group (like the Starship), where you tell us your goal and then check in as you work through it (this is why we have the weekly live check-in and forums) or with a single person (an accountability partner). After learning that about 2/3 of the Starship members were Obligers, I upped our accountability-providing, by creating the Accountability Partner Program – you just fill out a short form, and I match you with a partner. The two of you work together to decide when to check-in and then you simply tell the person: This is what I'm working on, I'm going to be done with it by X date. That, alone, can suddenly make you feel like you “owe” someone and so you work harder on your business! These people tend to feel constrained by any kind of expectation. They tell me (we have a handful in the Starship) that “As soon as I write something down, like a goal or to do list, I suddenly do NOT want to do it.” In fact, creating a schedule or a must-do list is going to ensure that a Rebel never does anything. I'll be honest, I have been thinking about this for over a year and quizzing any rebels I meet. Gretchen doesn't offer any solution in her book, and I had a hard time coming up with one. Joeli is a self-described Rebel who has made MASSIVE momentum in the last year of her Starship membership (you can get her full story if you sign up here) and she says what works best is making a big list and then picking, each day, what feels fun (instead of telling yourself you HAVE to do something that day), and setting goals that are more about paying attention and learning, than about measuring. (For example, set a goal of “noticing what already works in my business.”) In other words, for Rebels, taking the pressure OFF is often a good motivator for working harder (but if you already feel bad about how little you get done, this might feel REALLY scary). This is why we focus, in the Starship, on finding what works for YOU and giving yourself permission to not do what other people tell you “have” to do. The way you react to expectations can influence how much you accomplish in life + biz. So how do you get stuff done? I hope you see that the answer lies not in forcing yourself to work in ONE way, but in finding what works best for you. No one of the above is better than the others (although I think we all secretly wish we could be Upholders!) – the key to productivity is acknowledging your tendency and then setting up your work day and expectations in a way that works for you. If you think that more accountability, question-answering and a community of encouragers would help you in your business, check out the Starship – it's opening next week! Sign up below to get a FREE guide to go with this episode! I hear from SO many people that they just don't feel motivated to work on their To Do list – from the daily small tasks to the bigger goal-oriented projects. That's why it's so important to have a system of identifying your goal, breaking it down, and checking off your To Dos. This week we're revisiting a popular podcast from the past, with an all-new transcript and a FREE guide to go with it! Want to get more done? 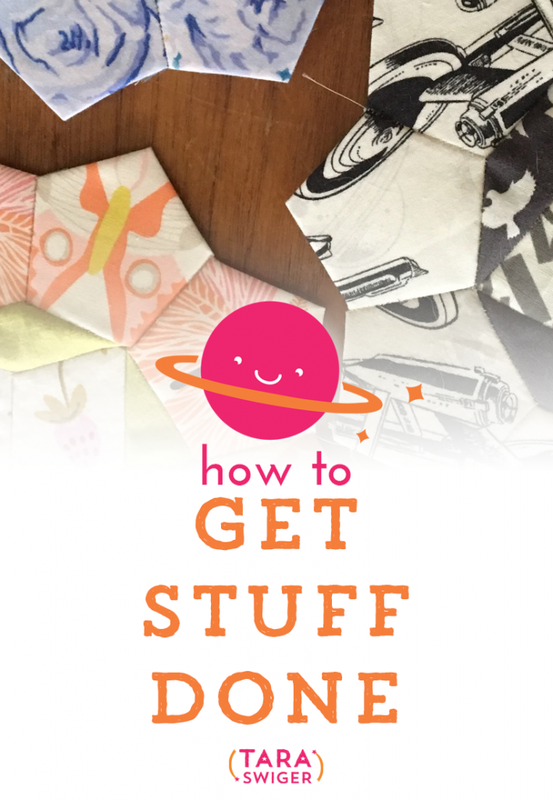 Get my FREE distraction-free guide to getting more done.Grab it here. Ever since I started preparing for my class on getting more done, I’ve been obsessed with what holds people back from doing what they want to do, or feeling good about their workday. One of the biggest frustrations people have is that they just can't seem to get through their To Do list, no matter how hard they seem to focus. 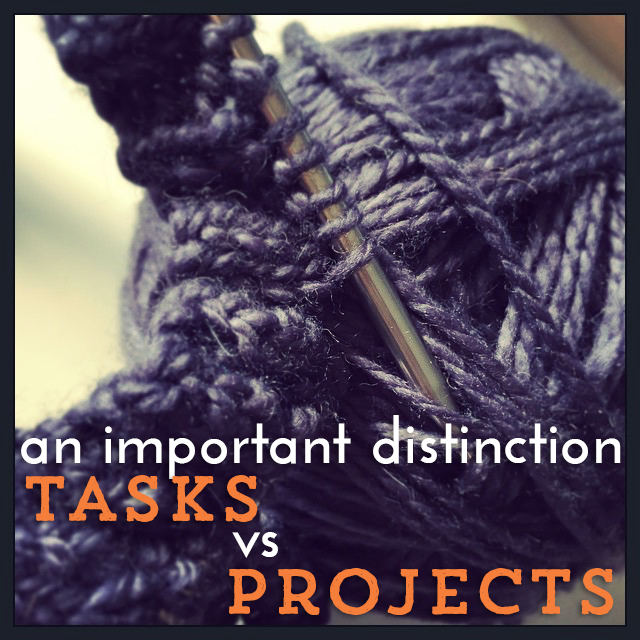 There is a difference between tasks and projects. It’s the difference between you feeling awesome and you feeling awful. I go into detail about that distinction in my class, but I want to make sure you *get* it. No matter what system or process you use, you need to distinguish between a Project and a Task. A task is a single thing that you can do in one session. A task might be labeling your products or making a single item. A project is bigger and includes multiple tasks. It might be designing and printing new labels, or making enough items for a craft show. This is where a lot of people get overwhelmed. They try to work on big projects, without breaking them down into tasks. And for some people, this works. They don't have to think through breaking it down, their brain does it automatically. But for many makers and creatives, you can only see the big project and try to tackle it all at once. 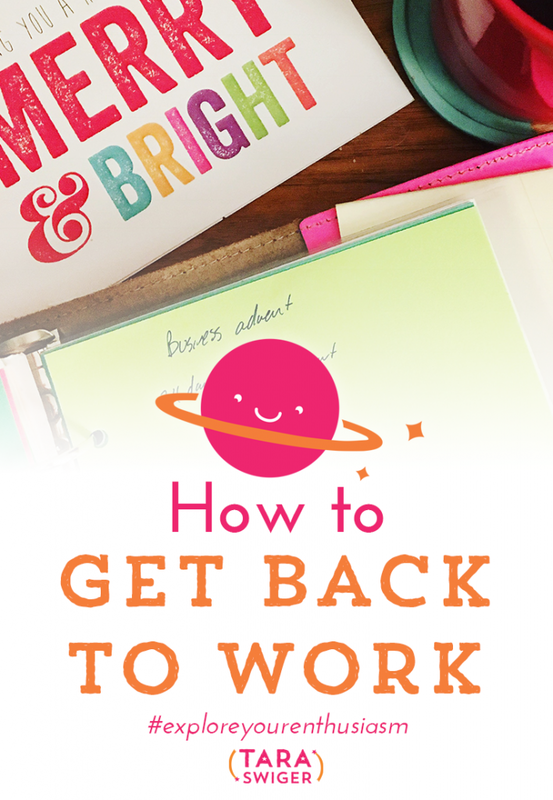 This is a recipe for overwhelm and feeling bad about your workday. The solution: Just recognize the distinction! Look at your list right now – is it full of projects? Take a minute and break each project into its tasks! P.S. If you want to be sure that you're breaking down the most important projects (the ones that will move you towards your bigger goal) into tasks, and that you actually DO all the tasks, check out the Map Making Guide. It walks you through this process, and includes an e-course, so you're prompted to work towards it, a bit at a time, over the course of a week.